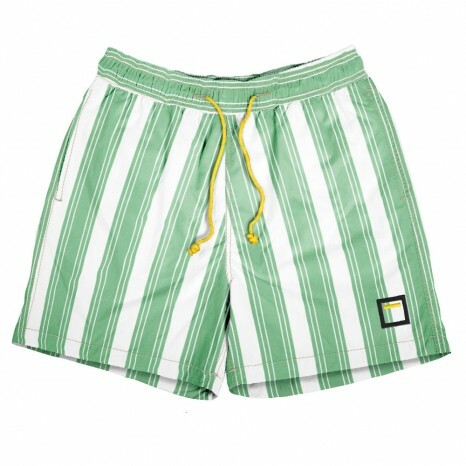 Striped green pattern, inverted for off-color finish. 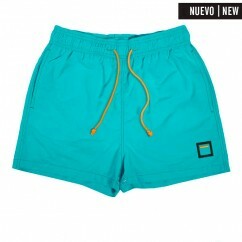 Exclusively designed, mid-length men's short. Premium quick drying, 100% polyamide fabric. Chlorine, salt water, light and rub tested. 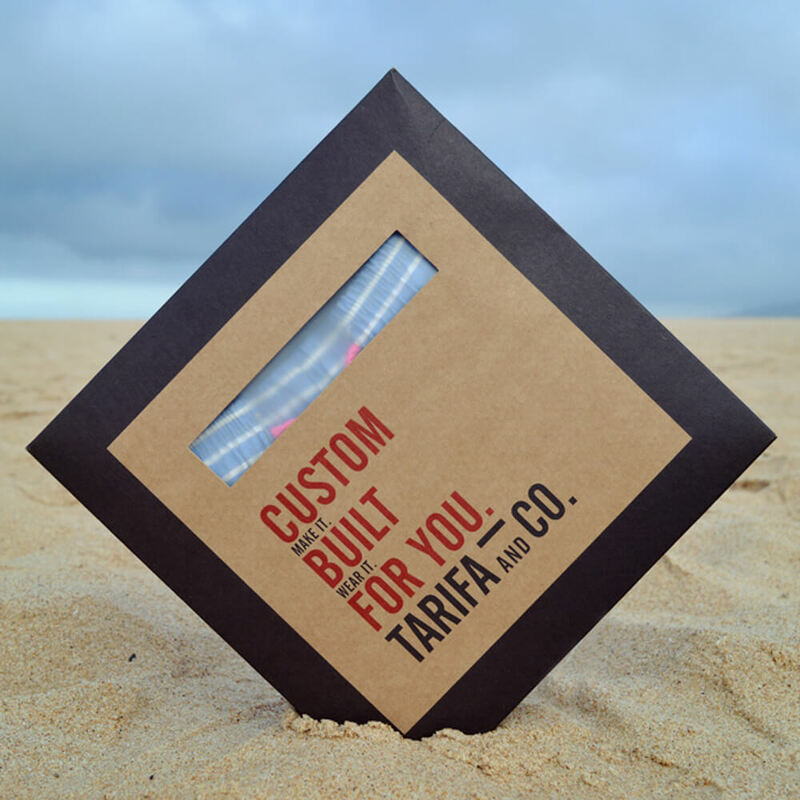 Signature TARIFA velcro-sealing back pocket. Durable elastic waistband and spindle cord drawstring. Optional brass-engraved drawstring hardware, nickel free and allergy tested. Mesh lining 100% cotton with 100% polyamide legband. Complete with complimentary beach pouch EVA zipper bag (25x25cm). Designed, sourced and individually manufactured in Spain. 2 to 3 weeks from ordering.